Almost no patients that are undergoing radiation therapy of head and neck cancers can run away from radiation-induced oral mucositis, especially if the oral cavity is included in the treatment target. Trotti et al. 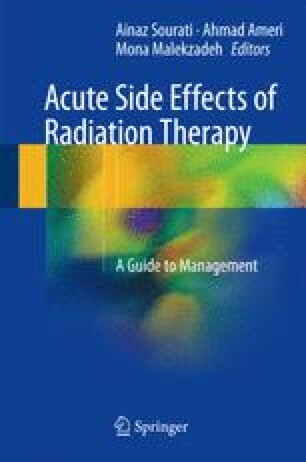 have confirmed the high incidence of induced oral mucositis in a systematic review with rates of 97% during conventional radiation therapy, 100% during altered fractionation radiation therapy, and 89% during chemoradiation therapy . In a retrospective study of 204 head and neck cancer patients that received radiation therapy with or without chemotherapy, oral mucositis occurred in 91% of patients; the rates of mucositis grades 1, 2, 3, and 4 were 4%, 21%, 60%, and 6%, respectively .